For any occasion where smart attire is necessary, the promotional shirts and blouses from allbranded can be used. 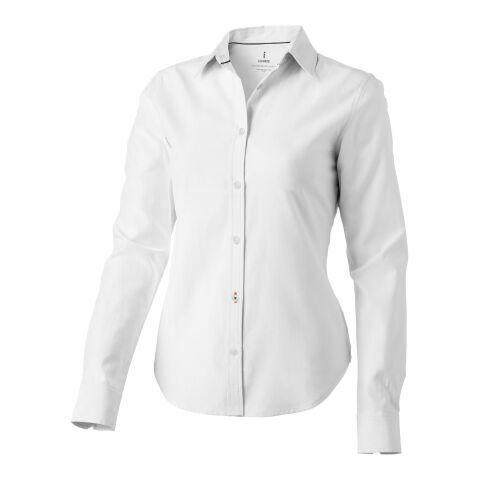 We have classic, button down shirts and blouses in several colours, to help your employees and clients look their best. In this category you’ll find Oxford shirts and blouses designed to be flexible, for long wearing comfort. Typically used as work wear, clothing such as this has connotations of seriousness, business and respect, and these attributes will be aligned with your business in the eyes of the customer. These promotional clothing can be used as part of your work uniform or school uniform. At allbranded you will make your marketing campaign a success. Promotional clothing such as shirts can make a powerful first impression on your customers. By choosing quality manufactured clothes, and having your corporate design printed or embroidered into the fabric. For those that want to show themselves are serious, smart and professional, there is no better attire than the shirt or blouse. 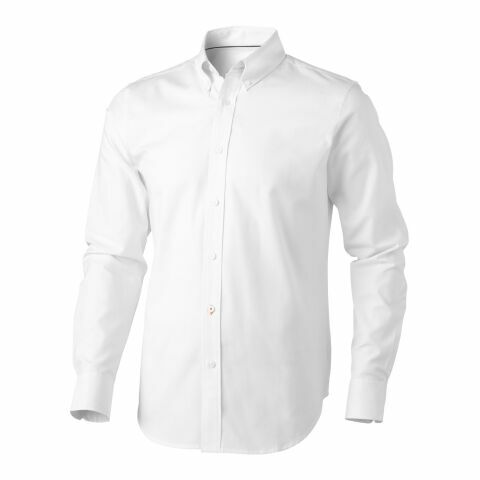 In 925 BC linen shirts were first created, the typical banded collars however, were only introduced in the 1900’s. Nowadays, these promotional products are usually used as work wear, by both men and women, across all working professions. Because of the wide spread of this design, the shirt has a permanent place in everyone’s closet. Use printed shirts and blouses to draw attention towards your company. Printing shirts and blouses with your logo is one of the most profitable ways to spread awareness of your brand. A business, which distributes products such as these, to customers, business partners and employees, often receives a lot of attention because they are synonymous with seriousness and respect. Anyone receiving smart, promotional clothing will automatically view your business in a positive light. This way you will strengthen the relationship towards your target groups and at the same time, use them as brand ambassadors. If your personalised branded clothing products are worn, your promotional message will seem authentic to the public eye. The more your clients wear these garments, the more exposure is created for your company. We recommend ordering printed shirts and printed blouses for your employees, this way, your employees will represent your business during working hours and will strengthen the community feeling between team members. When members of the same workforce wear the same uniform, they feel much more part of the team. Next to community, it will also increase the productivity of the employees. The pressure for suitable fashion will disappear and the company will stand in the foreground. The use of printed promotional products can be used to identify employees at exhibitions, so that customers know immediately who to talk to. The hotel and food industry are also excellent examples of where promotional shirts and blouses can be used. In our online shop you will find a huge variety, from the classic Oxford shirt to the stretchy, button down, there are styles and colours to suit all. In our online store you can also find custom printed T-shirts and always popular promotional Polo Shirts .Different styles, colours and sleeve lengths give you the opportunity to order promotional merchandise according to your requirements. When designing premium promotional products, you can choose between various printing methods such as screen printing, as well as the option to have your corporate design embroidered into the fabric. Your ability to be creative in your customisation of these products means that you can differentiate your corporation from your competitors. Let your target group spread awareness of your company with the printed shirts and blouses from allbranded.